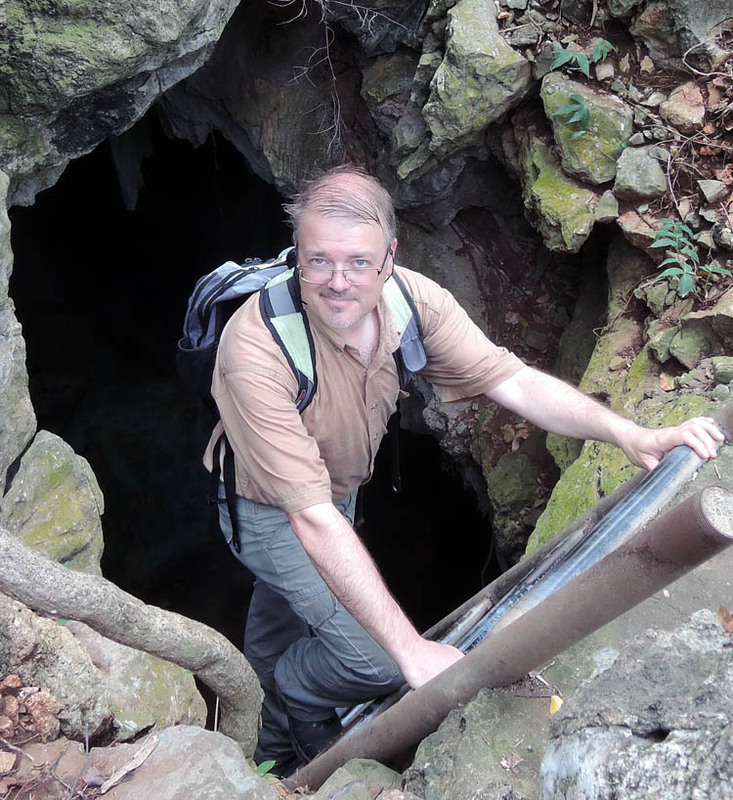 In parallel to his activities in environmental project management, bio-monitoring, laboratory and scientific collections supervision, and environment and health impact assessment in the industry, Olivier S. G. Pauwels is involved in various biodiversity research projects. These projects mainly focus on reptiles’ and amphibians’ taxonomy, phylogeny, conservation and ecology, but also occasionally deal with other taxonomic groups such as insects, mammals, fishes and birds, and other disciplines such as ethnobiology and archaeozoology. 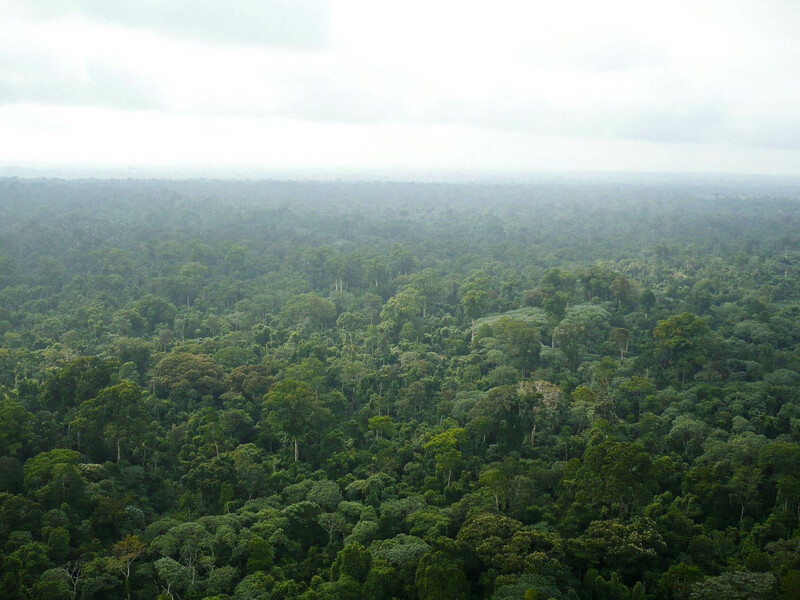 Olivier’s ongoing research projects include, among others, contributions to a monograph on the biodiversity and ecosystems of the Ogooué delta in Gabon (with Tariq Stévart, Missouri Botanical Garden, and Jean Pierre Vande weghe, Agence Nationale des Parcs Nationaux du Gabon), systematics and phylogenies of Southeast Asian geckos (with Aaron M. Bauer, Villanova University, L. Lee Grismer, La Sierra University, Roman Nazarov and Nikolay Poyarkov, Moscow State University, and Montri Sumontha, Ranong Marine Fisheries Station), zoogeography of the amphibians of Gabon (with Piero Carlino, Museo di Storia Naturale del Salento), potential impacts of invasive reptile species in Spain (with Vicente Sancho, Asociación Herpetológica Española) and the study of vertebrate remains found in prehistoric burial sites in northwestern Kazakhstan (with Nursultan Bairov, Aktobe Oblast History Museum). Olivier uses his extensive field knowledge gathered in the course of numerous long-term biological surveys in Europe, Central and Southeast Asia and tropical Africa to assess animal species’ conservation status. Since 2005 he is Assessor for IUCN’s Red List of Threatened Species and IUCN’s Global Amphibian Assessment. Since 1996 Olivier is Research Associate at the Royal Belgian Institute of Natural Sciences in Brussels. He is an editorial team member of the African Journal of Ecology and of the Thailand Natural History Museum Journal, and an occasional/regular reviewer for Acta Herpetologica (Firenze), Agriculture and Natural Resources (Bangkok), Amphibian & Reptile Conservation Journal (ARC), Anthropozoologica (Paris), ARKive, Asiatic Herpetological Research (Berkeley), BASE (Biotechnology, Agronomy, Society and Environment, Gembloux), Bibliotheca Herpetologica (Lund), Bulletin de la Société Herpétologique de France (Paris), Cryptozoologia (Brussels), Dumerilia (Paris), Ecological Notes (Bangkok), Editions de l’Institut de Recherche pour le Développement (Paris), Hamadryad (Madras), Herpetological Conservation & Biology (online), Herpetological Review (Salt Lake City), Journal of Biogeography (Oxford), Journal of Herpetology (Salt Lake City), Journal of Natural History (Oxford), Journal of the Bombay Natural History Society (Mumbai), Journal of Threatened Taxa (Coimbatore), Natural History Bulletin of the Siam Society (Bangkok), Natural History Journal of Chulalongkorn University (Bangkok), Nature (London), North-Western Journal of Zoology (Oradea), Oxford University Press (New York), Phyllomedusa (Sao Paulo), PLoS ONE, Revue Suisse de Zoologie (Genève), Salamandra (Rheinbach), Songklanakarin Journal of Science and Technology (Songkhla), Taprobanica (Homagama), Zoologica Scripta (Stockholm), Zootaxa (Auckland), etc. For the preparation of several forthcoming papers and books, photographs of the following animals are searched: reptiles of Thailand and Laos, reptiles and amphibians of Gabon and Equatorial Guinea, marine, freshwater and terrestrial wildlife of Gabon (including insects and other arthropods). Please clearly indicate the locality and name of the photographer for each photograph. No financial compensation can be offered, but the name of the photographers will be clearly credited.